We were so thrilled to work with this Beautiful Bride, Jeanette, and her husband to be, Joshua, on their whimsical rustic chic wedding! 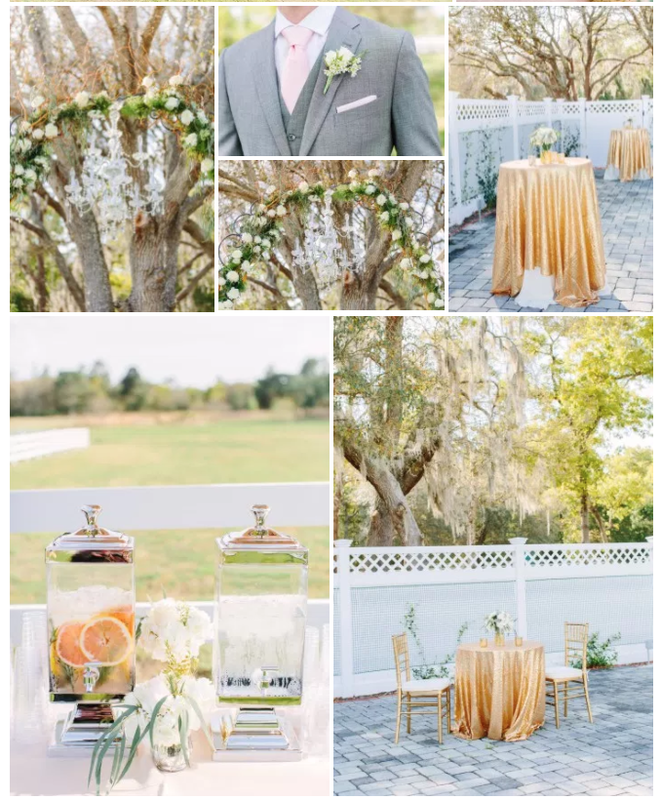 Their wedding was the epitome of classy southern charm with a rustic twist. 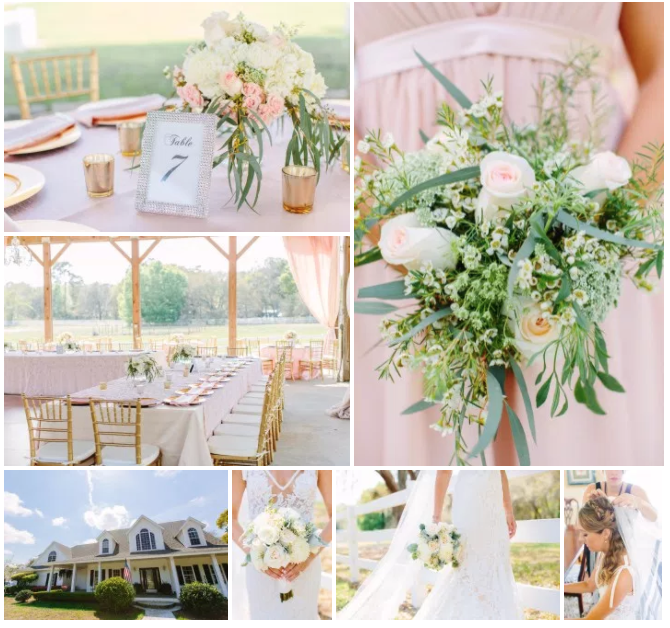 We accompanied the beautiful bride with a beautiful bouquet made of romantic blush and ivory garden roses, elegant football mums, adding in some rustic looking wax flower, and the soft color of the dusty miller for a delicate look. The maids bouquets had a whimsical look with seeded eucalyptus, wax flower, roses, and lovely queens ann lace. We were obsessed with the rustic chic ceremony arch! It was a blast making the garland with curly willow accents and the chandelier was a perfect touch! Our gold and silver mercury containers paired with white hydrangea, blush spray roses, wax flower, and seeded eucalyptus to fit the rustic chic theme to a tee. We look forward to working at Bramble Tree Estate in the future!